Casey-South Melbourne simply don’t want to make up the numbers, they want to be a threat. After clinically knocking over Camberwell Magpies on Saturday away from home, the new look Swans are sitting just outside the top eight, a terrific start to the season by any measure. They’re building something that has previously been lacking. The Magpies were always on the back foot after a sublime hundred by Michael Wallace (125) on day one saw the visitors set a formidable 330 for victory. Wallace’s ton was significant for many reasons. He came in at 3/30 and with state bowler Andrew Fekete causing trouble, it was his first game back after being dropped down a level, and it was his second triple figures score in a row. These factors – combined with a resolute 83 to keeper Devin Pollock gave the Swans a momentum that never shifted and translated into the second day. The home side couldn’t wrestle up enough boundaries to put the pressure on, and were blown away early, with Jackson Fry (2/21), Nathan Lambden (1/52) and James Maxwell (1/29) setting the tone with the new ball. Emerging quicks Maxwell and Fry took their opportunities with Josh Dowling and Dylan Hadfield out injured, combining to capture the wickets of James Rosewarne, Oliver Gunning and Lewis McManus early, before the run out of Shubham Bhargave had the home side hanging meekly at 4/49. The Magpies were eventually snuffed out for 213, with Jonah Serong (3/43) bouncing back from a tough opening spell to take the final three wickets of the match, including Russ and Will Walker in consecutive balls to help his side to victory. Fry, who now has 43 first XI games under his belt as he continues to emerge in the bowling ranks, praised the bowling group for putting the Magpies on the back foot early. “I got a couple early, James Maxwell got one and they were four for not many – we put their two best players, Hill and Russ, under a lot of pressure and then getting Hill out, we knew we were on our way to getting the points, which was good,” he said. Culture has been a major factor in the Swans turning around their fortunes so far this season, something not lost on Fry who explained that presence of some elite cricket heads has brought about some renewed confidence and fierce competition for spots. “It’s a lot different culture – Nick Jewell’s a massive inclusion for the club, what he’s brought to the table in terms of philosophies on cricket throughout the pre-season, and guys know where they stand with him, which is massive. And obviously having Luke Wells too is huge,” he said. “Having two first-class guns at the helm is massive. It makes a big difference, we know our game a lot better, and guys walk tall with them around. “There’s massive competition for spots, which is great, because guys train a bit harder – it’s good to be around it. Ahead of a blockbuster against local rivals, Dandenong, on Saturday and Sunday, Fry said the Swans were well placed to give the reigning premiers a shake. “We know how good they are, and it’s a great challenge against a local rival at home. They’re coming off a premiership, so we’re really looking forward to it,” he said. 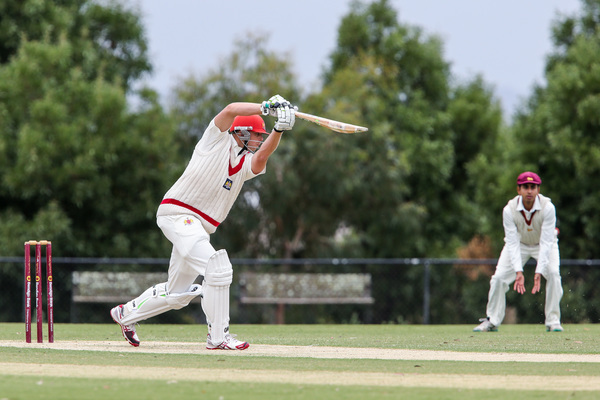 “Our performances against Fitzroy-Doncaster and Camberwell were top notch, and we believe when we play our best cricket, we can take it up to them. “Obviously the opening partnership (of Tom Donnell and Brett Forsyth) is massive, and if we knock a few over early and have a look at a few early on, it’s going to be a great game. Hopefully it’s a big crowd and attracts a few down to Casey Fields.